All Grain Plus Extract California Common homebrew recipe. 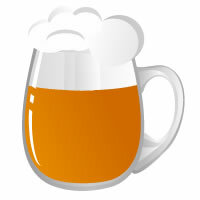 This homebrew recipe uses the following ingredients: Vienna DME, Dry Malt Extract - Light - US, Dry Malt Extract - Wheat - US, Honey - US, Crystal 45L - UK, Special Roast - US, IBU Inject Hops, Northern Brewer Hops, Wyeast California Lager 2112 Homebrew Yeast. This recipe was cloned from IIPA at 80.